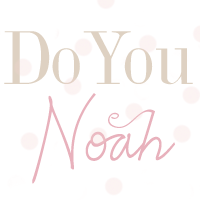 doyounoah: Would YOU dress your child like this? People in life make choices everyday..sometimes you make the right choice, other times it can be the wrong one. Nethertheless you learn from your mistakes and move on. So WTF is all this about?!? 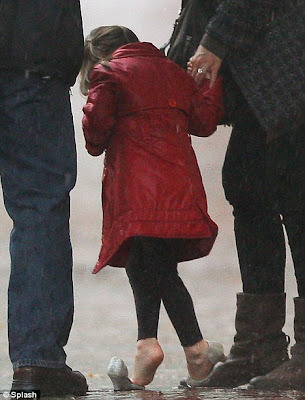 Some people might say Suri, aged 3, the daughter of Hollywood star Tom Cruise and former Dawson Creek's actress Katy Holmes, looks "adorable" tottering away in her kitten heels. Others would disagree. Including me! They may as well put her in a bikini and demand she wear that too. Oh and let's not forget some sparkling heels to go with it. Apparently, Suri has a designer wardrobe meant to be worth around £2 million. Allegedly she has a make-up collection and she has been seen wearing nail polish and lipstick. Of course these are all rumours and nothing is confirmed but hel-lo there is evidence of her wearing high heels. EXCUSE ME how old is this woman child??? Am I the only person who thinks it's a little bit strange that her parents allow her to wear high heels??? But I think it's time for someone to tell Suri play-time is O-V-E-R. I can not, for the life of me, believe that she actually enjoys wearing those shoes. You only need to ask the majority of women on how "comfortable" (please note the use of speech marks) high heeled shoes are. There not. But they look fabulous and that's all that matters. The poor child can't even walk in the shoes, tripping over herself in the rain. Tell me that is a good look?? ?